Now, she’s a full-time entrepreneur, but what’s really interesting is how she became one. It all began because Php3,000 was stolen from her wallet one night in March 2014. She didn’t realize she was robbed until she was in front of the cashier and about to pay for milk and diapers she bought from a drugstore. “I was so depressed that night. I kept on thinking how I could recover that Php3,000,” she said in Filipino. 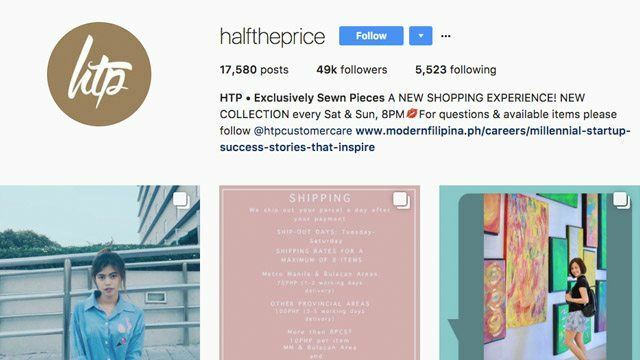 She set up an Instagram account with the username @halftheprice, uploaded about 80 photos of her wearing the clothes for sale (mostly bikinis), and put out her Viber details. 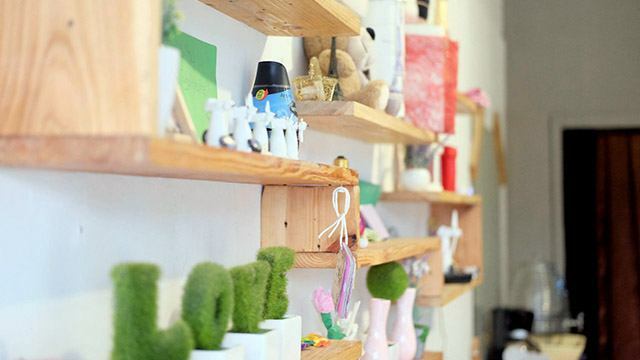 She also linked the posts to her personal Facebook account to let her friends know about the shop. Then she went to sleep. The next morning, Del Rosario was greeted by dozens of messages in Viber. “It was sold out, overnight,” she recalled ecstatically. She earned Php8,000 that night—more than double of what was stolen from her. She couldn’t believe her luck. She could have stopped there. After all, her goal was just to recover the Php3,000 stolen from her. But her friends asked for more, so she posted more clothes from her own closet. She kept selling these items at more or less half their original price. This turned into a weekly thing, with the collections eventually including some of her friends’ “preloved” items. She made the buying part fun by turning it into a game: the person who first comments “mine” on the photo gets the item. This added a sense of thrill to the customers who kept coming back for more. By then, she was already earning Php1,500 per week. But what probably had the biggest impact on Del Rosario’s following was when she started selling celebrities’ used garments. Because she was in a television network, she easily had access to the closets of TV artists. “Used clothes don’t have much value for celebrities anymore,” she said. The celebrities were only too happy to sell their second-hand clothes to her to be able to dispose of unwanted stuff that could easily clutter their closets. Del Rosario’s collections included items from beauty queens Janine Tugonon, who was her former housemate, and Lara Quigaman, Chynna Ortaleza, Meg Imperial, Desiree del Valle and Boom Labrusca, among others. Although mostly branded, Del Rosario said she didn’t sell any clothes for more than Php300. The celebrities’ used clothes brought in the most followers as well as revenues. For instance, Del Rosario was able to buy six bags full of Chynna Ortaleza’s clothes for only Php5,000. After choosing which items to sell, she was able to make a profit of at least Php15,000—three times her capital. “I didn’t shell out any money. Whatever came from my preloved clothes, that’s what I used for buying my friends’ used clothes. And whatever I earned from that, I used for buying the items from celebrities,” Del Rosario said. The continuous success of the online shop pushed Del Rosario to try something bigger. Fearing she might eventually run out of supply of preloved clothes, she looked for other ways to keep Half The Price going. That was the start of Half The Price (HTP) Exclusive. Del Rosario partnered with local seamstresses in Angono, Rizal in early 2015 to produce ready-to-wear pieces mostly for women. As HTP expanded into more than just a hobby, Del Rosario decided to quit her regular job to focus on growing her business. Now nearing 50,000 followers, Del Rosario is determined to make HTP known as a brand of “exclusively sewn pieces” made from her own designs. She now employs 18 marketing and support staff based in their office also known as “HTP Hub” in Balagtas, Bulacan, and has around 40 seamstresses in Angono, including subcontractors. 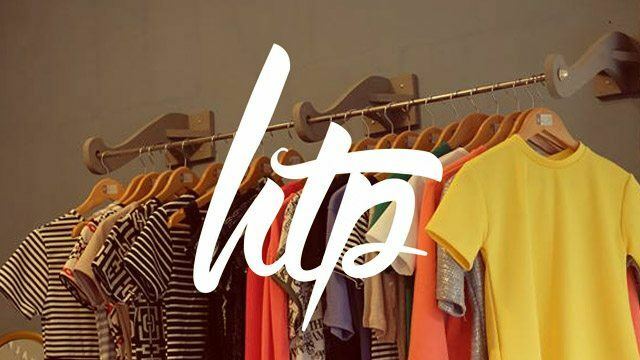 HTP’s production capacity is about 3,500 pieces of brand new garments per month, priced at no more than Php500, which are almost always swept by “mine” comments. “[Our profits hit] around Php20,000 to Php30,000 a month [minus the production costs and administrative expenses]. But we don’t feel that yet because we are always keen on expanding,” Del Rosario said. However, “expansion” in Del Rosario’s terms does not mean opening up a brick-and-mortar store. “That’s how HTP differs from other shops. I don’t want to have a physical store where people can just go to, the excitement [of the “mine” game] will be gone,” she explained. Instead, Del Rosario shared they are investing on a website where they could promote HTP as a standalone brand outside Instagram and sell their products without any restrictions. “It’s hard to just ride on a platform that’s not especially made for selling,” Del Rosario said. Although Instagram has been very useful to her, she said its rules could be unreasonably strict at times. She was even tagged as a spammer by the platform before. Although moving to a completely different platform is risky, given that it doesn’t have the audience Instagram already has, Del Rosario said she is willing to give it a go. 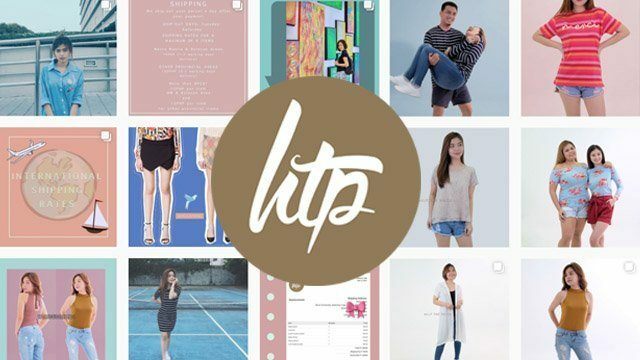 “I want [HTP] to be known as a brand, not just as a shop for mere selling,” she said. She’s planning to launch the website within the year. Being active for only three years, HTP still has a long way to go to really compete against big local brands. Still, its growth from just being a preloved clothes seller on Instagram into a fully-fledged garments manufacturer and online retailer is a remarkable feat that not all online shops manage to achieve.